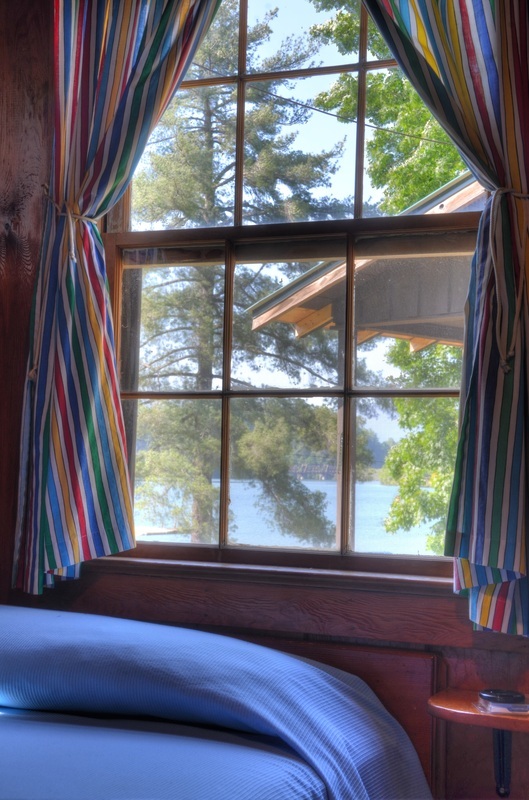 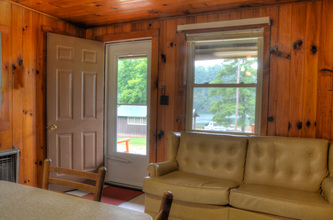 Each cottage has direct satellite TV, a shower bath, electric heat, air conditioning and a private front porch facing the lake. 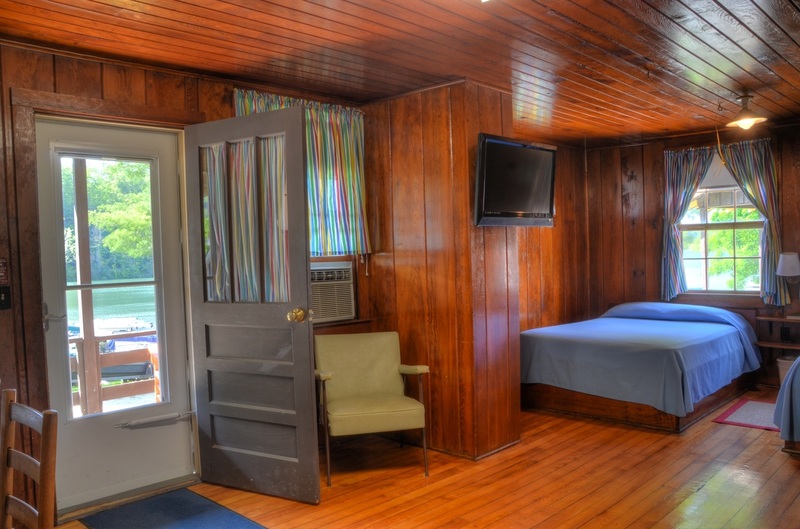 Our one-bedroom cabins consist of one room with two double beds in the sleeping quarters and partially separated from the rest of the cottage by two built-in wardrobes. 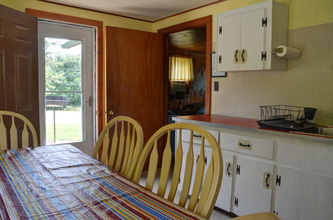 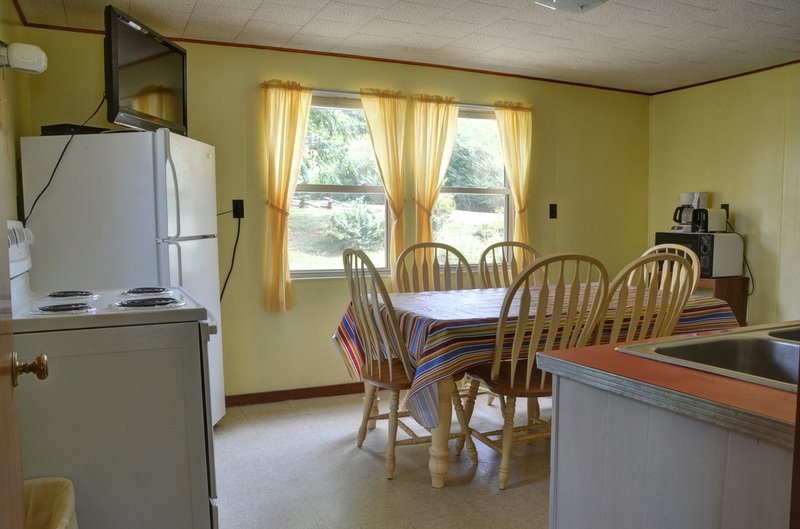 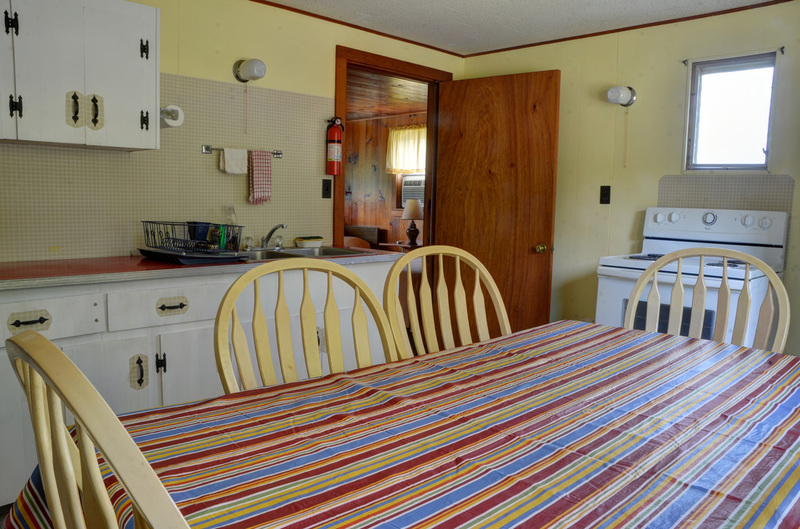 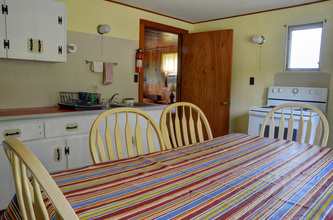 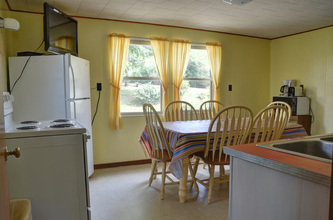 Each has a complete electric kitchen with cooking utensils and table service for six. 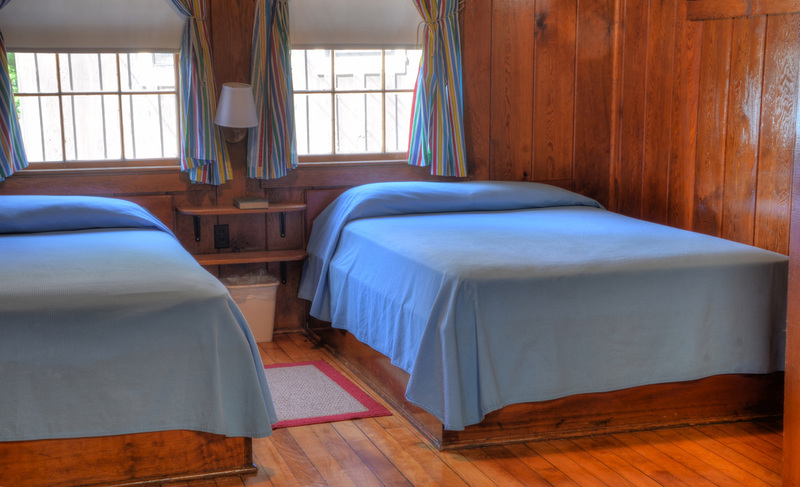 In addition, there is a sofa bed in the living quarters which will sleep one adult or two small children fairly comfortably. 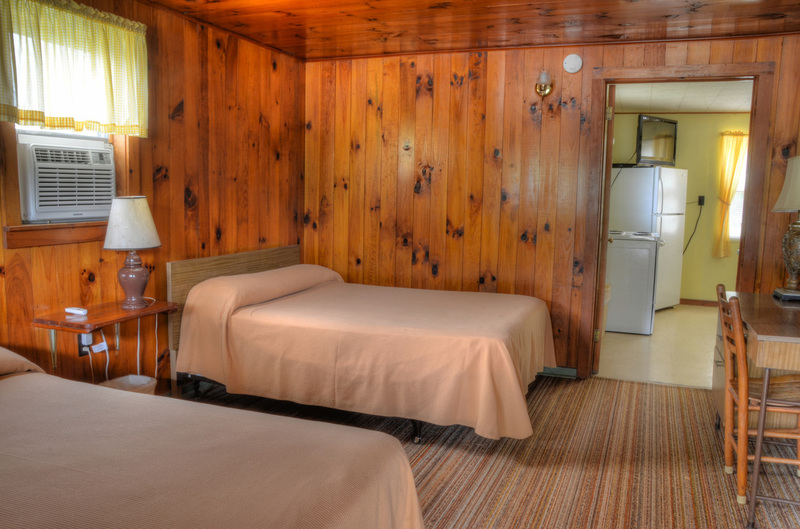 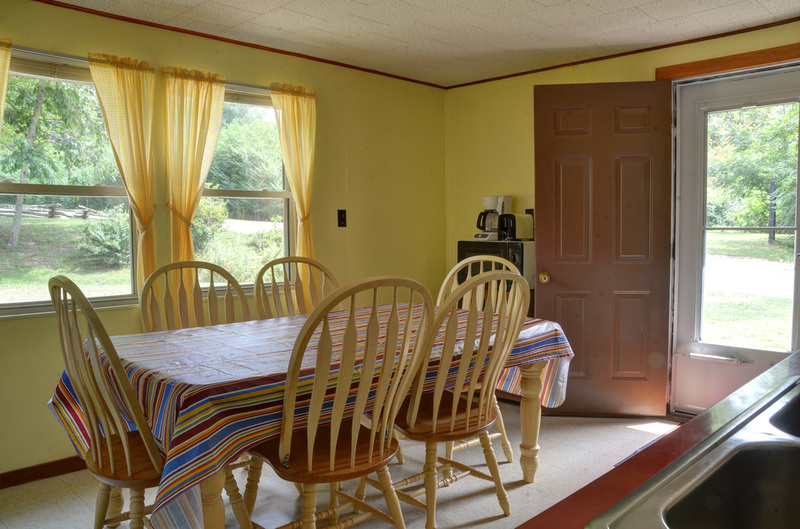 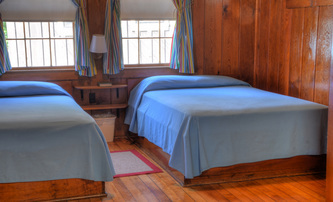 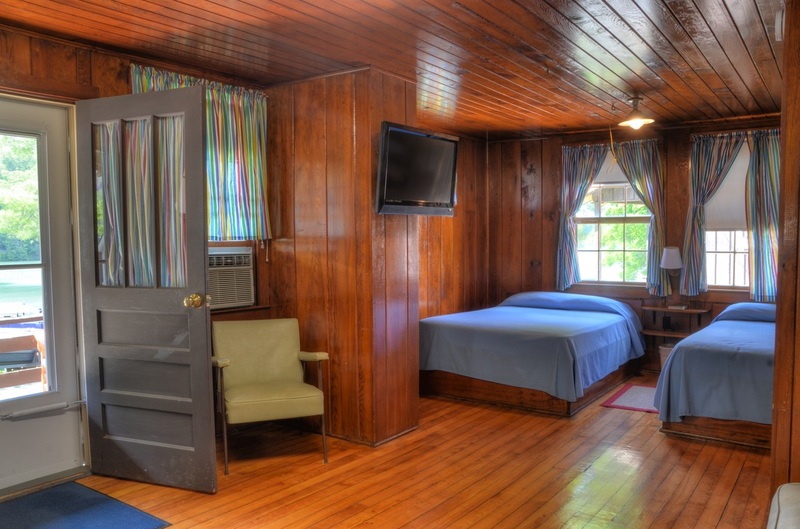 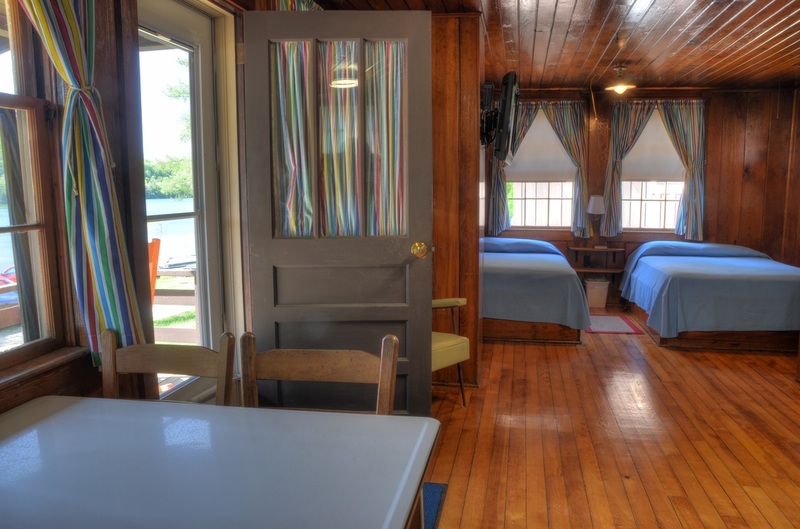 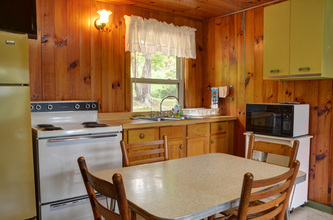 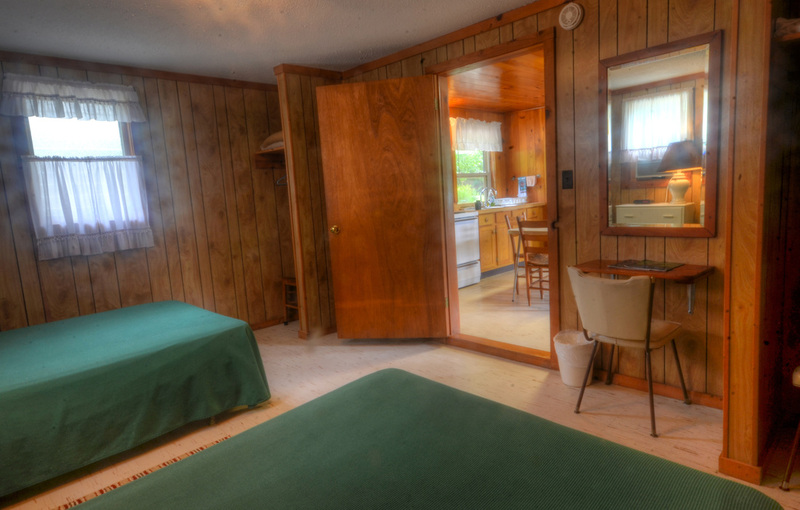 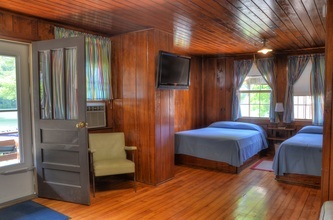 We have three 2-bedroom cottages which will accommodate eight adults very comfortably. Each cottage has 2 full baths, 4 double beds in two sleeping quarters and is complete with electric kitchen with cooking utensils. All bedding, linens, and towels are furnished. 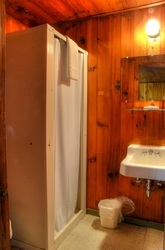 Towels are changed daily and clean linens offered every fourth day. Wi-Fi connectivity is available. There are no phones in cabins, however, cell service is very good in this area. 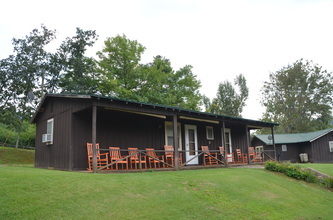 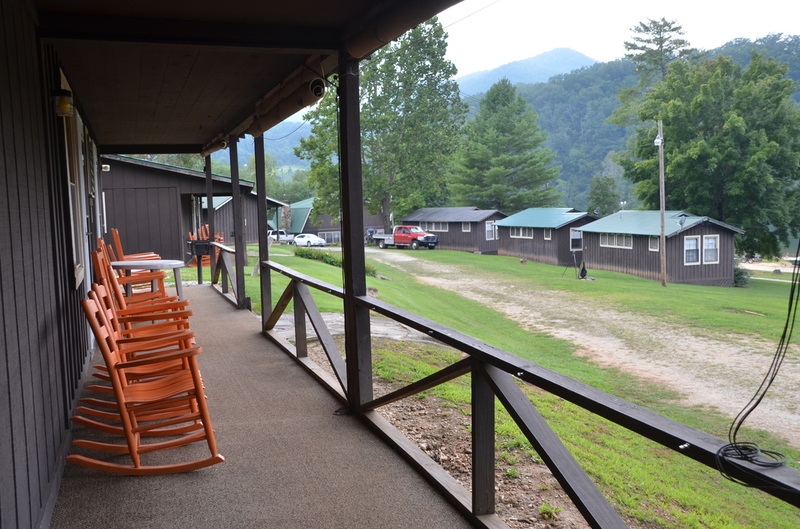 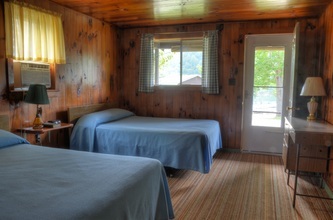 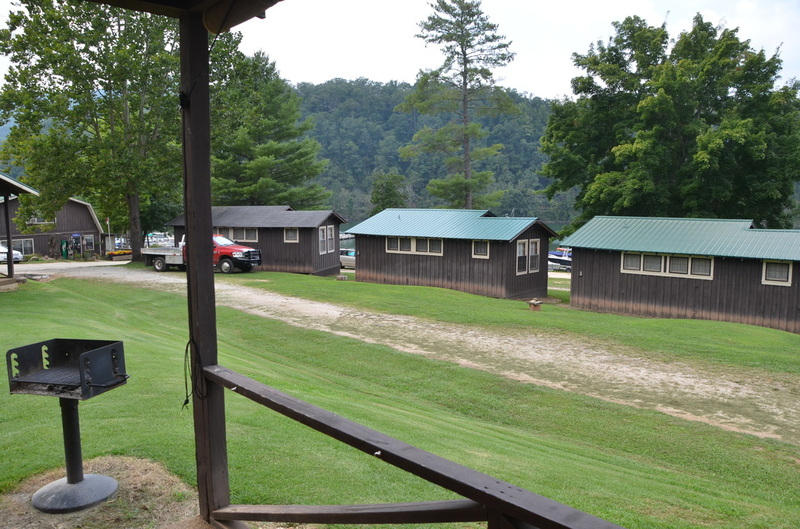 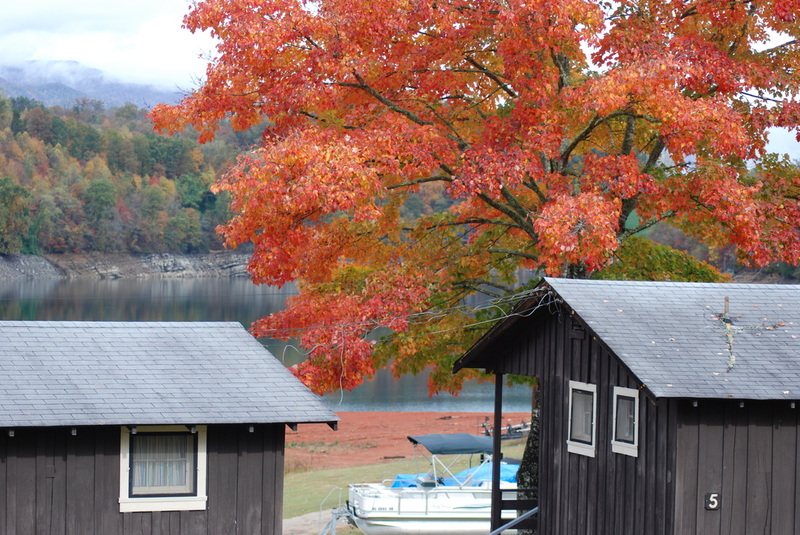 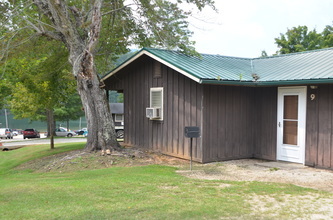 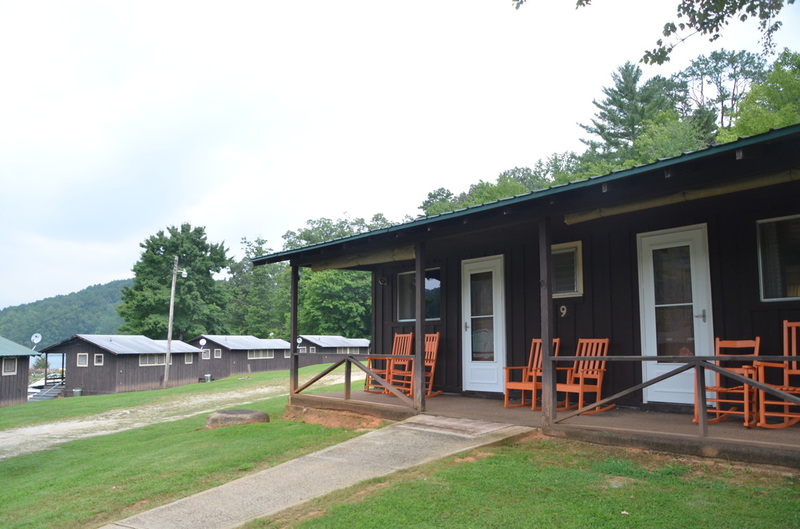 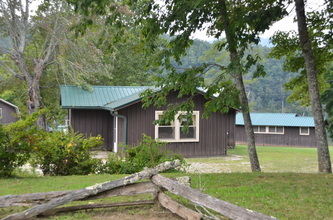 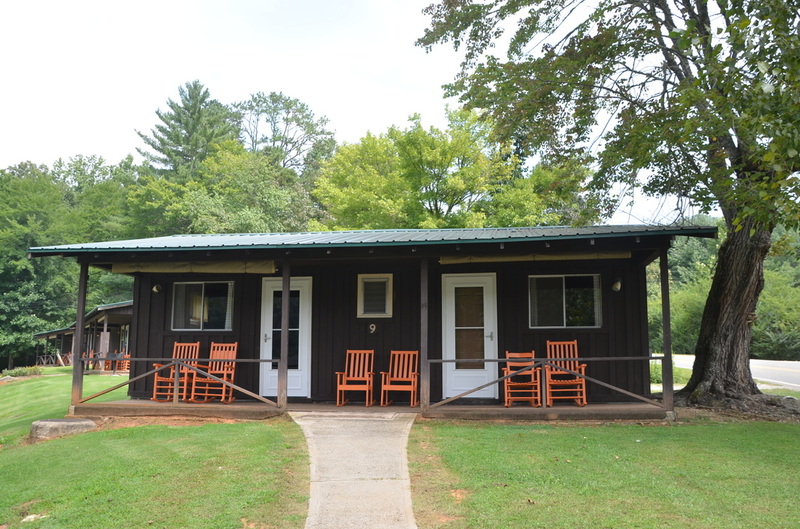 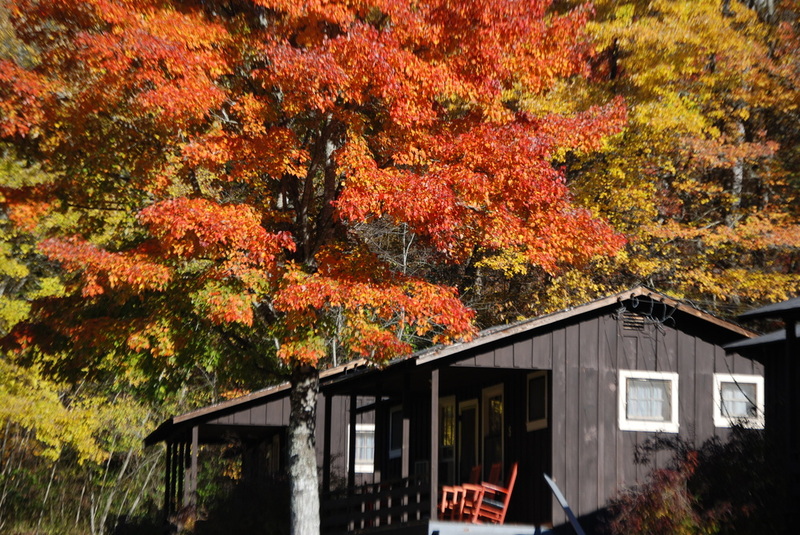 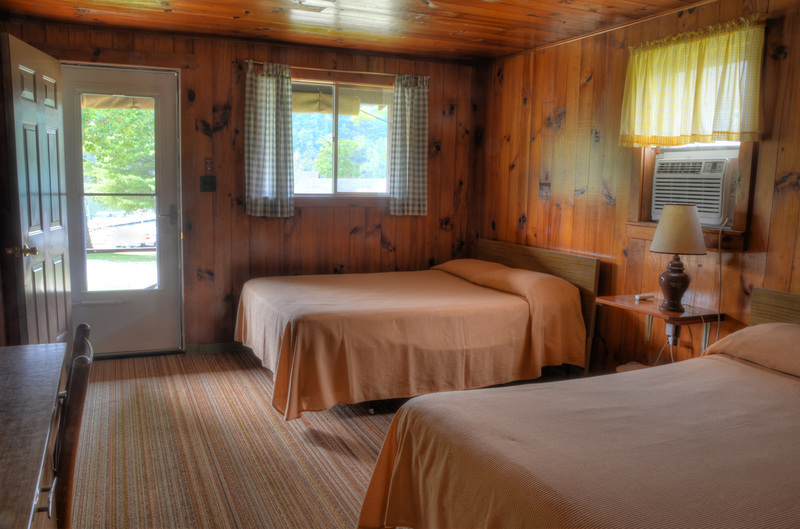 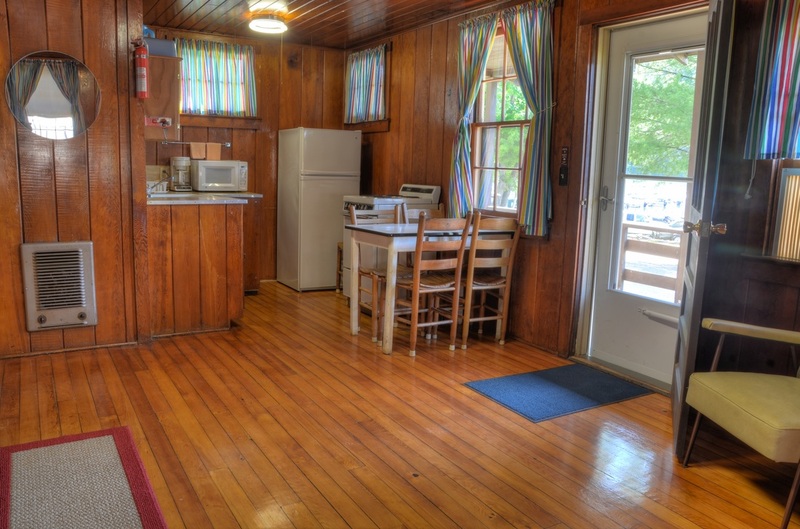 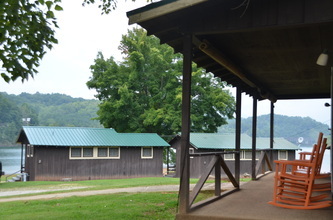 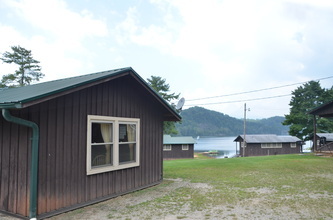 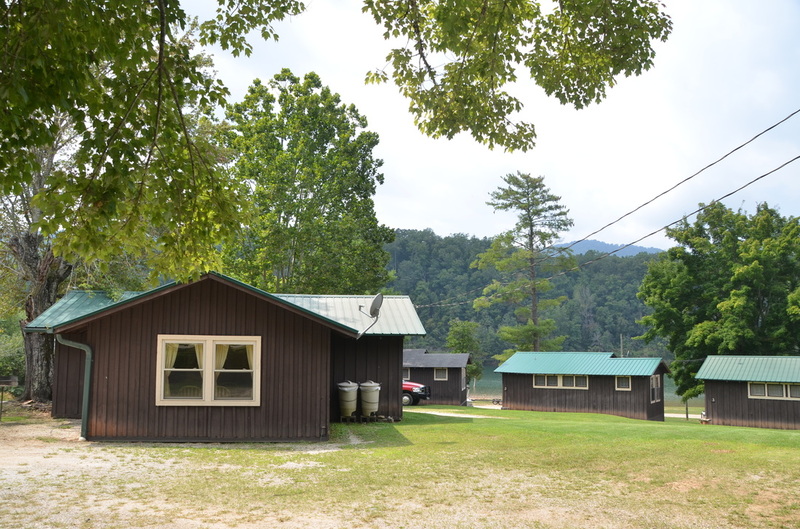 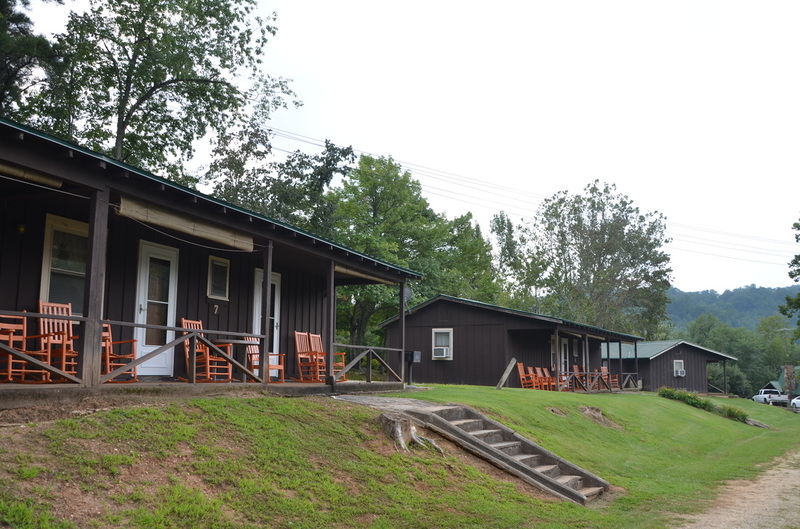 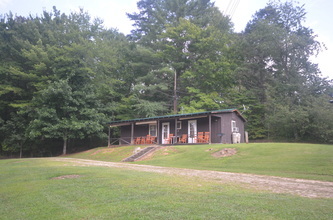 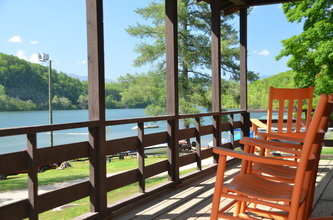 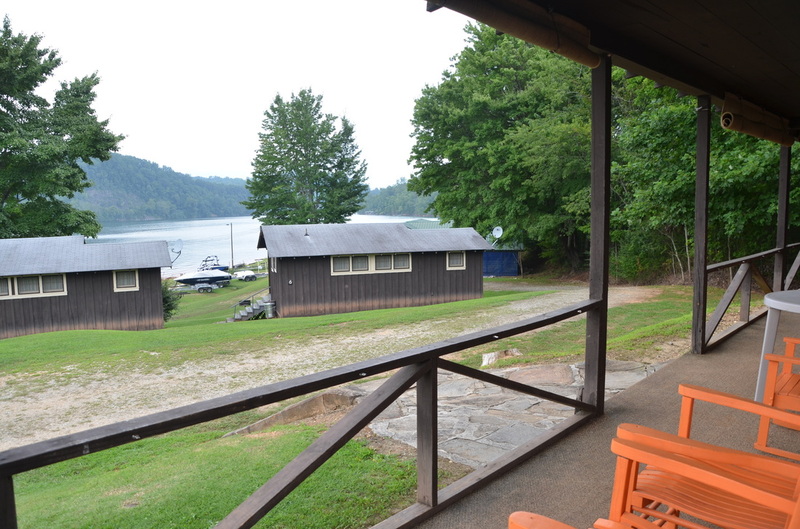 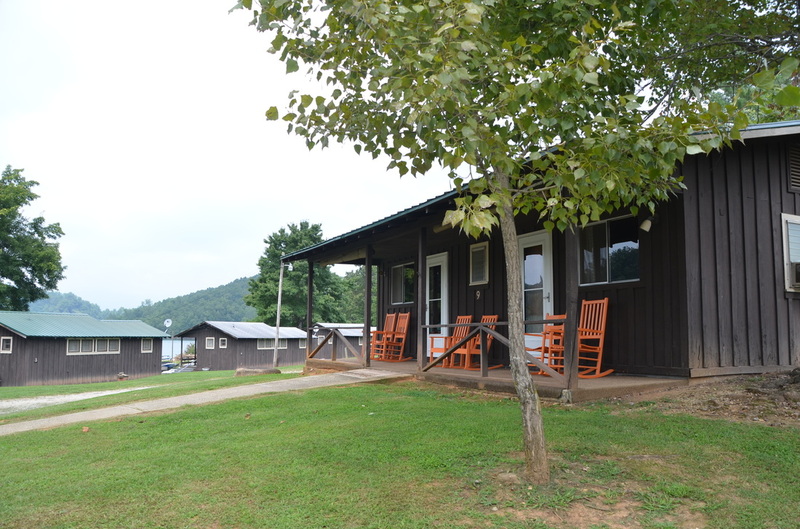 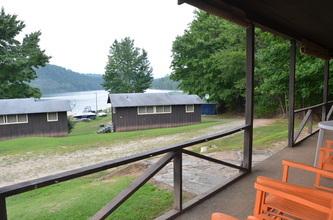 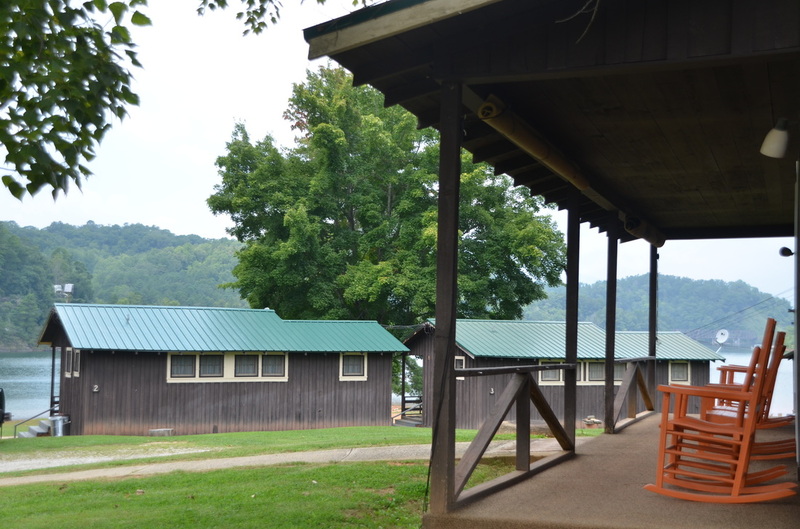 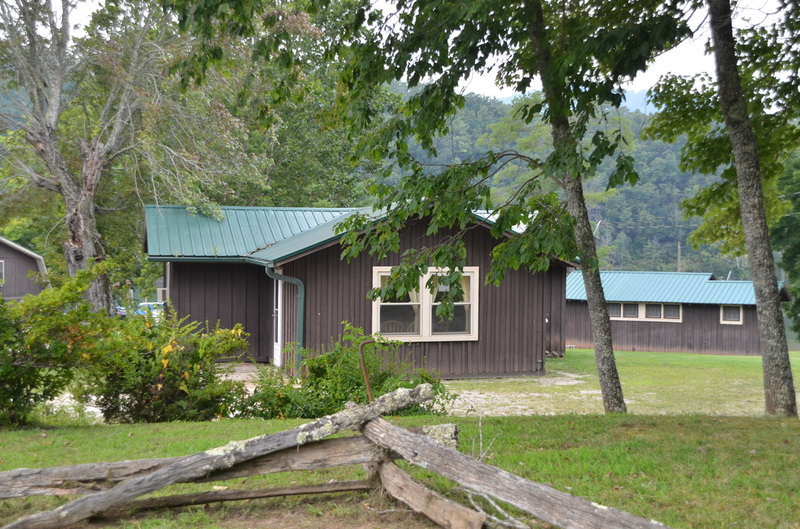 All cabins are very clean, neat, comfortable, with mountain and lake views, and carry the North Carolina "Grade A" Rating. 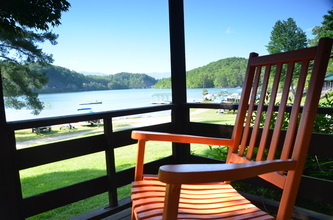 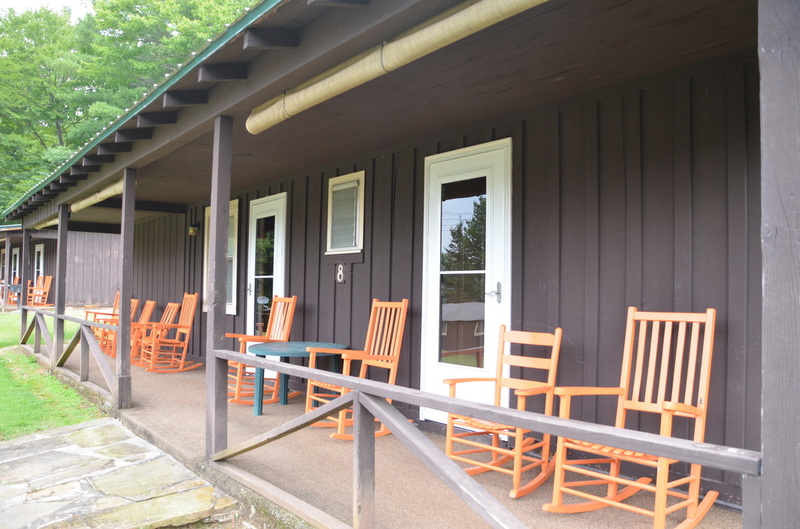 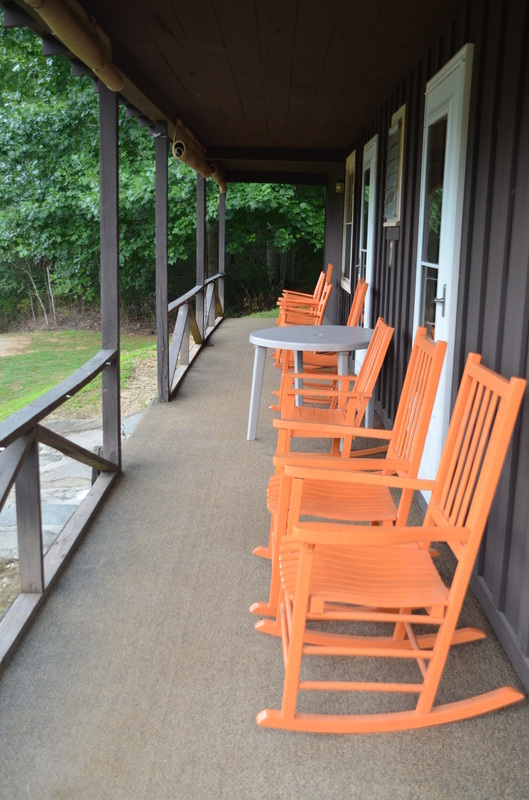 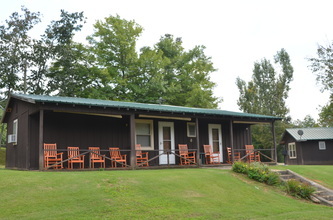 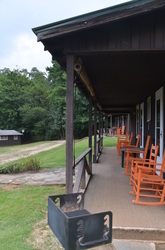 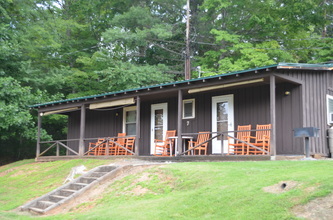 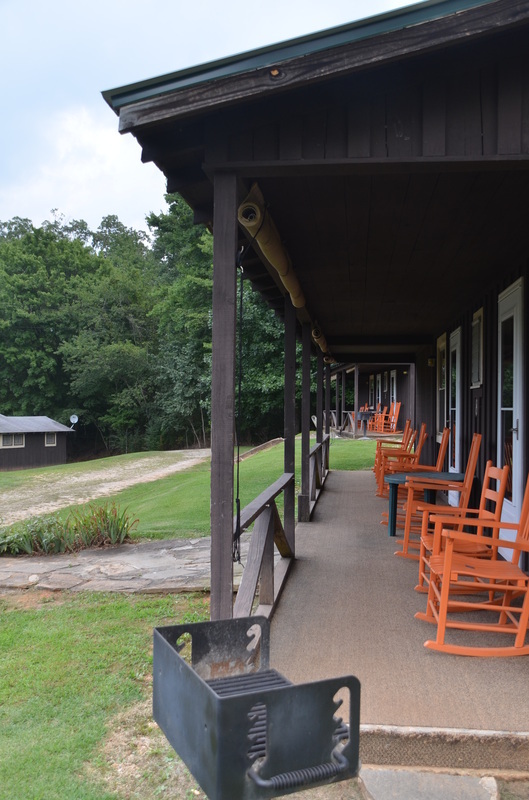 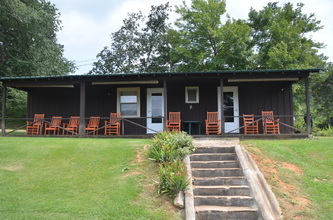 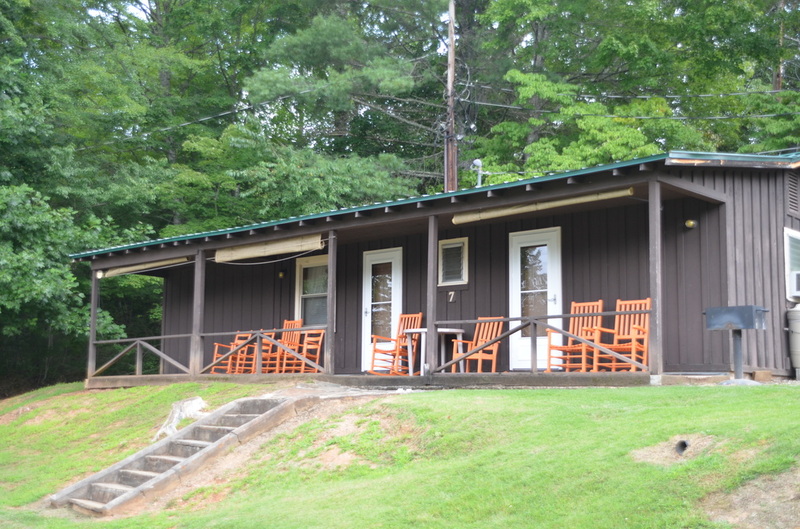 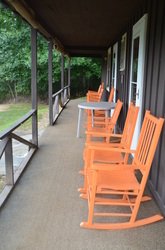 Every cabin has a porch with rocking chairs - perfect for reading, relaxing, or chatting with friends and neighbors! 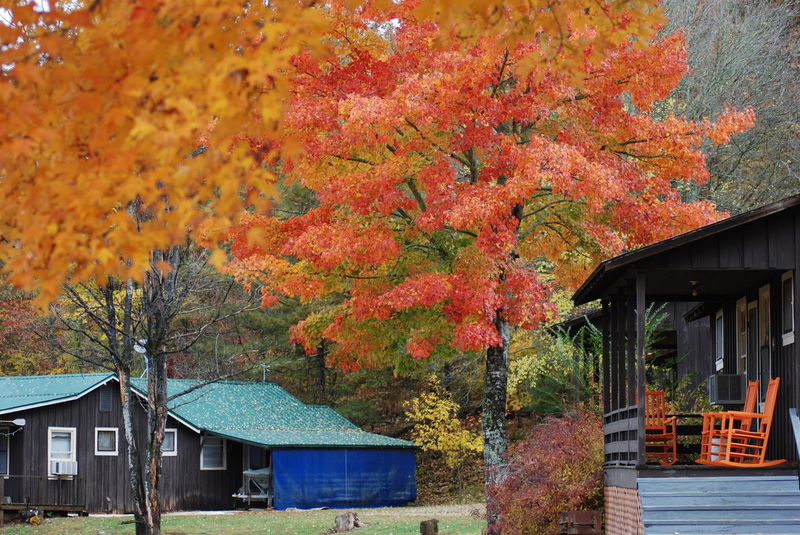 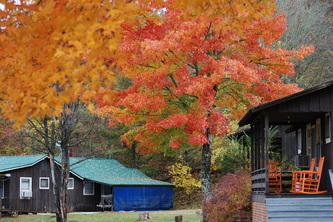 Our cabins are open from April through October. 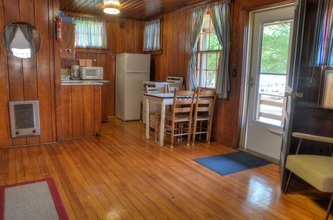 1 Bedroom $125.00 to $145.00 per night for 2 people. Deposit: One night's rent is required in advance (cash, checks, travelers checks, Mastercard or Visa will hold cabin). 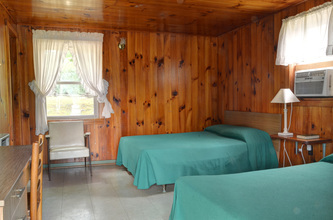 Cancellation Policy: We will refund your deposit if we receive your cancellation 15 days before your arrival date. No refunds after that date. 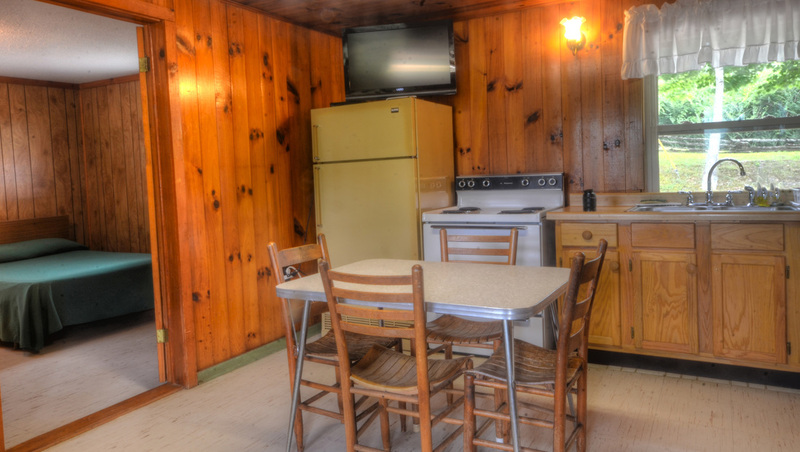 Pet Policy: NO pets are accepted in cabins. 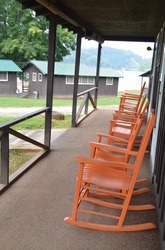 Boat Launch: No launch fee will be charged for cabin guests, however there is a $5.00 per night fee will be charged for boats left in the water. 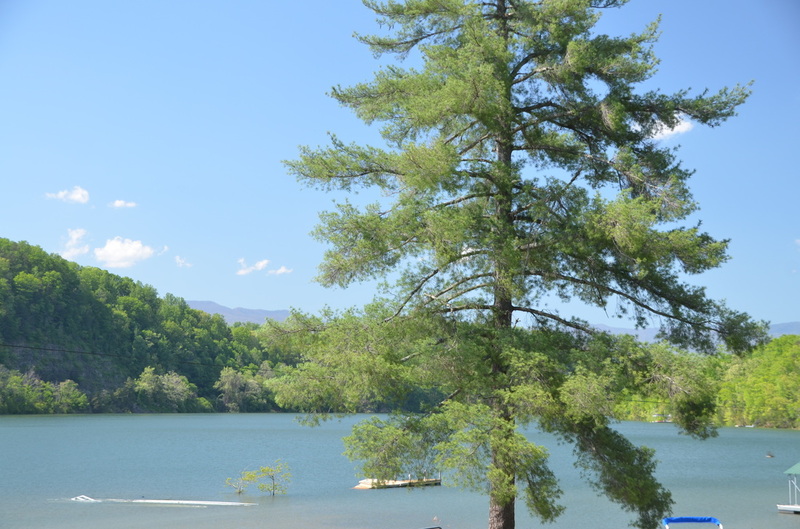 24 hour boat dock service May through September.